The only way to prepare for your trip, get a real feel of what it’s like with Easirent Car Hire! We’ve got something very special for any potential camping customers. A full in-depth review of our brand new Roller Team Zefiro 695 Motorhome. We’ve got absolutely everything covered, from real customers who have experienced and documented everything first hand, for you to read, review, compare and help make your mind up that you’ll be choosing the best vehicle available. 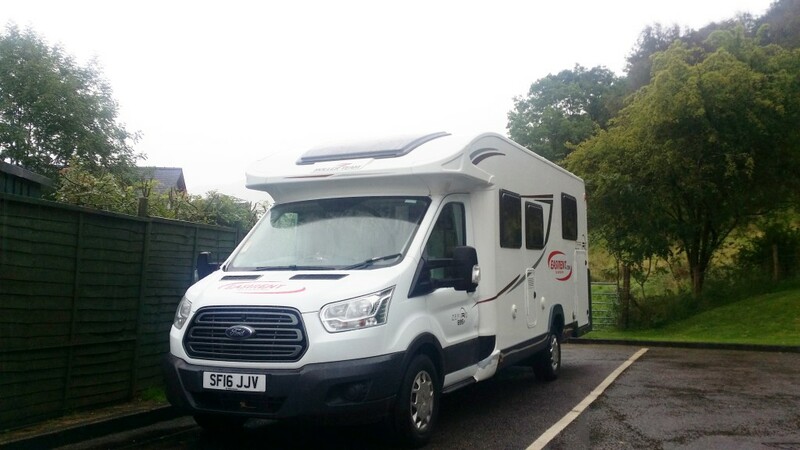 The booking process was completely straightforward and easy to do, we simply visited easicampervanhire.com and chose our location and holiday dates. Once submitted, our order was placed and we were contacted via email to confirm. You pay in full online or in branch via a credit card and leave a deposit to cover the costs of any accidents that might occur. We chose to collect our Motorhome from Wigan as we’d used them previously and were comfortable with the staff. They even remembered us and made us very welcome, showing us around and making sure we were clued up on how everything worked. Wigan is a fantastically friendly branch and we need to give a big thanks to our driver who checked us out, he was patient, helpful and a real credit to the company. The staff knowing their way around the motorhome is really essential if you’re unfamiliar with the model and we’re glad Easirent know their stuff! They include all the essentials inside such as tea towels, fairy liquid, blankets, torch, candles, utensils, and things we’d definitely have forgotten. Wherever you choose to pick-up from, you can leave your car in Easirent’s secure lot during your vehicle hire which is very convenient. Once we had transferred all our things to the van, we set the Sat-Nav for our holiday destination (we chose Scotland) and off we went! When you look at a larger vehicle such as the Zefiro 695, you would naturally assume it will be quite cumbersome to drive but despite being larger than a Luton van it felt more like a large transit than a 7.5T truck. The model we had was a manual which really helped control the speed and acceleration, especially with climbing into the Scottish Highlands to find the perfect camping spot. We assumed it would be heavy and have to remain in the slow lane the whole way there but the 695 can maintain speeds of 70+ with ease especially using cruise control. On the motorway, it feels very much like you’re in an average van, not a 7-meter long motorhome. I found it to feel very stable in windy conditions unlike other larger vehicles which feel top-heavy and like you’re in a constant battle. Everything is within easy reach and not much movement/stretching is required to operate the controls. Driving is extremely comfortable given the seating position which provides the ability to drive extremely long distances without the need for a break. The only downside is that the van cannot accelerate as quickly as I would like so taking off from junctions and on roundabouts require a little extra waiting time. 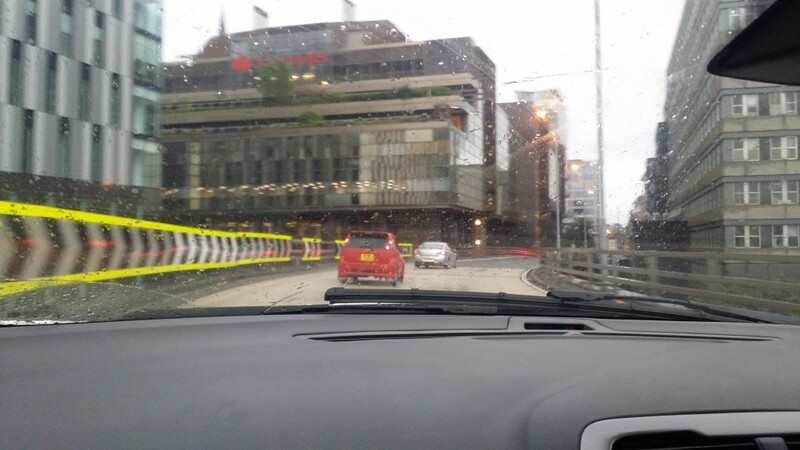 During the times I was a passenger, I felt extremely comfortable. Everything in the front cabin is designed for a long journey. There’s tons of legroom, adjustable seats, armrests, head restraints, and plenty of snack storage! With the air-conditioning I found I could keep myself pleasantly cool without having to mess with the windows on the motorway. 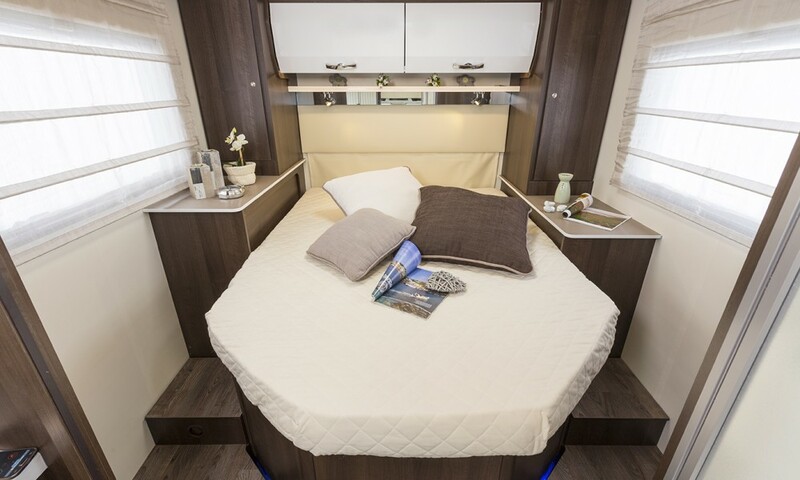 It is so comfortable and easy to fall asleep that driving any distances longer than 100 miles will be no problem at all in this vehicle – something very important for long-distance holidaymakers. The driver has automatic sidelights turned on, varying speed windscreen wipers, radio controlled wing mirror functions and a non-complicated trip computer that tells you how many miles to the gallon you are using, how far you’ve travelled, and average speed. Above the fridge in the main body of the vehicle there is a touch-operated main control panel. From here you can turn the water on/off and check the percentage left in the tank. Also you can turn the heating on/off and adjust the temperature with a separate dial. Other functions include lights on/off, outside lights on/off, and show current electricity usage in the front and rear of the cabin. The fridge automatically pulls power from whichever source it finds most convenient (to help prevent you running out). It’s mostly self-explanatory from the diagrams but Easirent made sure we were familiar with it before we left. TOP TIP: Using the Key Fob you can lock the vehicle up but always make sure to manually lock the cabin door as well as this is not remote-controlled. controls. The Zefiro requires precision parking, however reversing into a space becomes easy when you combine the rear view camera with the side mirrors (which you can see the rear cabin and down along the floor). The parking camera at the rear will help you park in most situations and is handy for straightening up on a pitch. 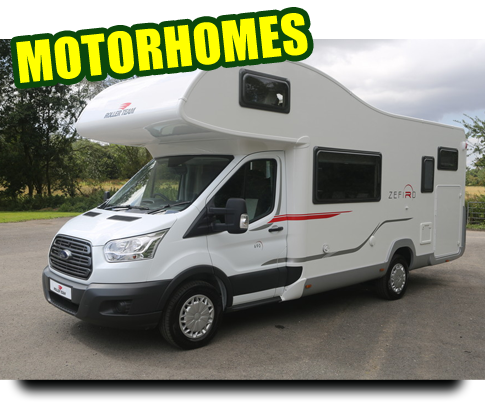 However there are no sensors and this motorhome is rather large so in some situations if you are nervous about room, get your partner or children to get out and assess the vehicle from the back. Remember most of the places surrounding camping towns will have dedicated Caravan Parking with extra long spaces free of charge. We received the Motorhome with a 1/4 tank of diesel and filled up £50 before joining the motorway for Scotland. 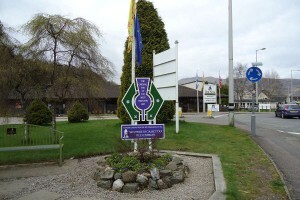 By the time we had arrived in Fort William (255 miles) we were down to 1/2 tank. Of course the MpG changes with the driving style, but we found it really efficient and only had to fill up twice. Driving with differing speeds will have different effects on the fuel efficiency but the trip computer tells you how good/bad you are doing and how far you have to go on the fuel that is in the car depending on how you are currently driving. The boot space is basically the hold in the back which is accessed from the outside and you could definitely fit the luggage of four adults plus bedding and camping gear in there. It’s enormous plus there’s also a bicycle rack on the back. The storage space inside is plentiful and having ‘His’ and ‘Hers’ wardrobes either side of the bed helped us keep our clothes separate and organised. With just the two of us, there were cupboards to spare above the bed and everything is lit up with strip lighting at night so getting dressed quickly is a doddle. Unpack all your things inside the bedroom cabin then put your suitcases back in the hold (under the bed) so they’re not taking up extra room. Push the drivers chairs forward and lean them inwards before trying to swivel them so that they are clear of the doors and steering column. Put everything in its’ correct place before driving so nothing is flung around or rattling about. 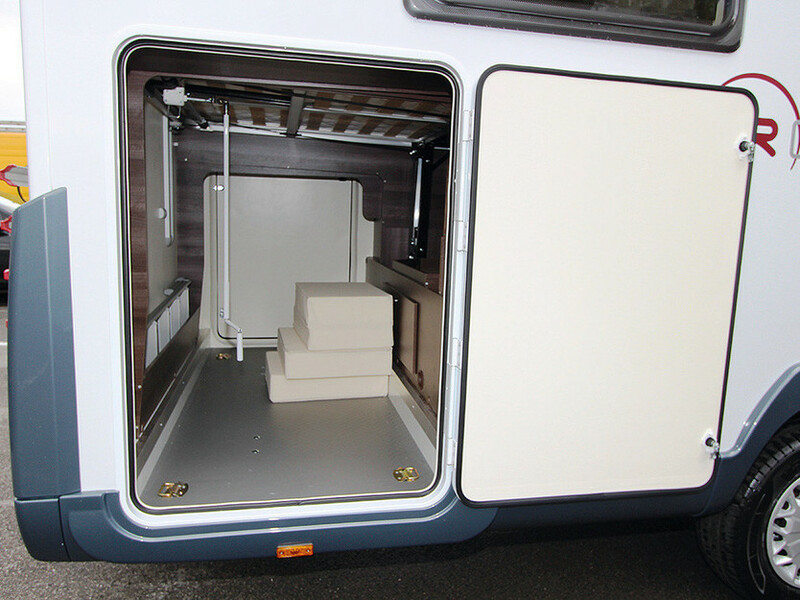 Make use of the interior LED lights at night in case you need to leave the van for any nighttime toilet trips. Always turn the gas off at the source and secure the water cap before driving anywhere. Have a window or door open when cooking or showering to release the steam. If turning the heating on inside the cabin, make sure nothing is blocking the outlets. The Motorhomes from Easirent come in 4 berth and 6 berth varieties, the 6 berth has a variety of layout for the beds but the 4 berth that we hired had a permanent double bed at the back and a range of varieties in the front. You can arrange the seating area in to various different size and shaped beds but we found the main room to be extremely comfortable. In all honestly, once you’ve got your proper bedding on there it’s just like being at home. There’s even a leather headboard! Even though we were in Scotland for our hire, we did find it to get quite hot in the van at night so we opened up the side windows and the roof vent, easily done by turning a few latches and all windows have built-in netting for midges and mosquito. 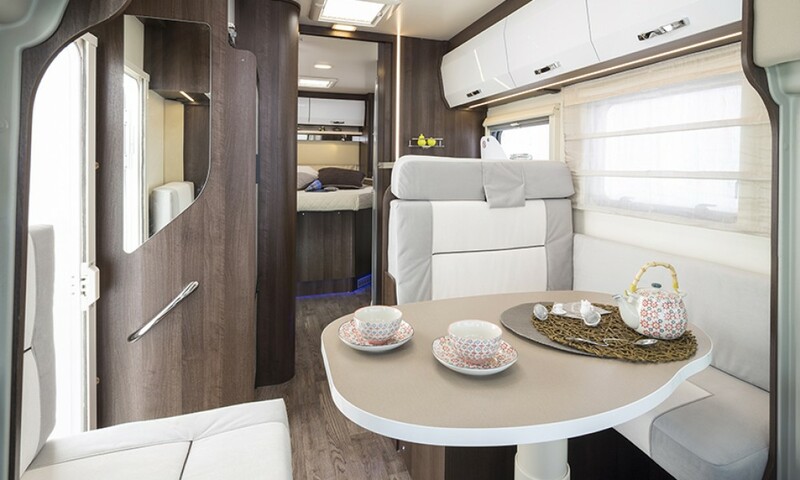 There are privacy blinds all along the sides and the back of the Motorhome and you have screens that you can fit to the front windscreen and driver/passenger doors. From the outside, these blinds block the light and sound out really well meaning you can listen to music/watch TV or a film without disturbing any neighbouring tourers. From the inside it means no torches or sunlight can come through, waking you up. If you use these at night, always remember to put the blinds up before driving off again in the morning. Easirent kindly include everything you need for eating on your trip inside the motorhome. Utensils, plates, mugs, cutlery, etc make for a very simple set up that covers all the basics. Once you’ve turned the gas on (from the outside) you can use the three-ring hob AND oven to cook breakfast, lunch and dinner. With the kitchen in it’s own L-shaped area it’s pretty easy to cook and entertain while your guests are sat around the table, out of the way. There are quite a few storage lockers to store food and a double standing fridge that has adjustable temperatures for cooling and freezing. Everything worked brilliantly, the cooking was fast and everything was perfectly sized with a camp-stove kettle perfect for cups of tea and coffee every morning. There’s even a handy little shelf for your salt and pepper! Unlike the cool, hip red VW Campervans that Easirent stock, we found that the overall look of the Zefiro was rather large and more akin to an RV than a camper. It isn’t as quaint as the traditional retro VWs but it’s a good attempt at modern styling with convenient features. The bicycle rack on the back gives it a functional yet holiday feel and the white streaked design on the side makes it stand out against any backdrop. Most motorhomes are similar looking but we found on our travels the best looking ones were the dark grey and silver colour homes. The interior more than makes up for the old-fashioned design because the initial impression you get when you look inside is how modern and homely the trim looks. The cream furnishings and soft wood makes you feel like you are in a holiday home. We got a lot of questions about the Zefiro from other Roller Team owners and a few people were interested in buying one or renting one just after seeing the outside. Just be sure to remember which is yours in the caravan car parks! We chose to travel down from the top of Scotland because of the wonderful scenery on the drive. You can easily find the best-rated campsites with a simple Google Search. Just make sure they have pitches that can fit this model (7 metres long). The first campsite we visited called Glen Nevis Caravan & Camping Park was based literally at the foot of the UK’s tallest mountain range. The onsite restaurant was a really good quality experience and the welcome we received was very friendly. 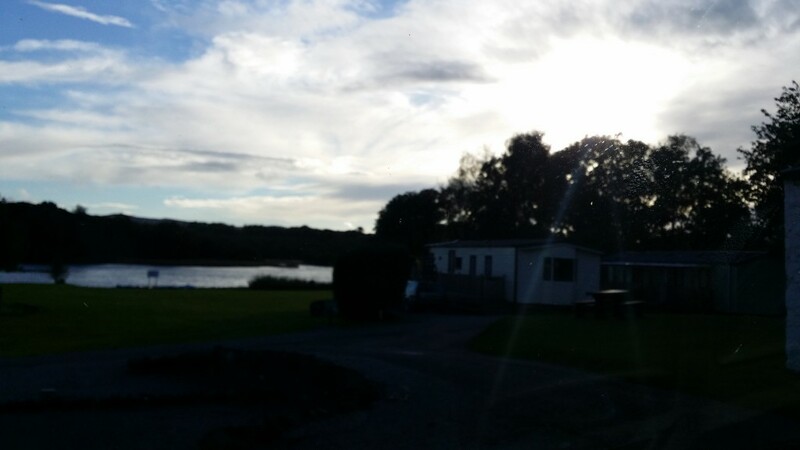 Another must-visit location is Loch Ken Holiday Park. We found the campsite through Tripadvisor and booked directly on the phone. Aside from the beautiful loch-side pitches, the best thing about Loch Ken was the high SQM (Sky Quality Meter) meaning the entire sky was lit up with stars at nighttime, perfect for camping out and viewing the milky way. On arrival, you check in at the reception of the campsite where you will be given all the information you need and a map of where to go. We were told all about the facilities and entertainment on offer that we could partake in and we were sent on our way to settle in. For the Zefiro it is best to choose a 7m berth, and reverse in (only partly) as you most likely will need to use the chocks provided to level out. Although Easirent provide a hookup cable, you may find the electric box is too far away in which case reception will usually lend you an extension cable for a small deposit. There is usually space on the gravel or grass alongside for a car which many other campers made the most of using. TOP TIP: If you are returning at night to the campsite, be sure to turn on the outside lights of the van to locate your hookup easily. There are of course, rules of any campsite and we found it easy to fit in and become part of the life there. Everyone around is helpful and friendly, respect is a necessary part of living in such close quarters to ensure everyone enjoys themselves. Neighbours come and go in their own caravans and cars. Motorhomes are usually put in the larger fields with the other homes and caravans. There was a real sense of neighbourly community and the camping village next door were equally friendly. The shop and retreat at the site made it easy to socialise and make friends and the privacy inside the campervan enables you to hide away or discreetly pack up and leave if you need to. Travel Recommendations: There are so many places to explore along the west coast of Scotland, if you do choose to camp in the highlands here are a few of our suggestions for your stay. An array of sea animals, some native to the Loch itself. 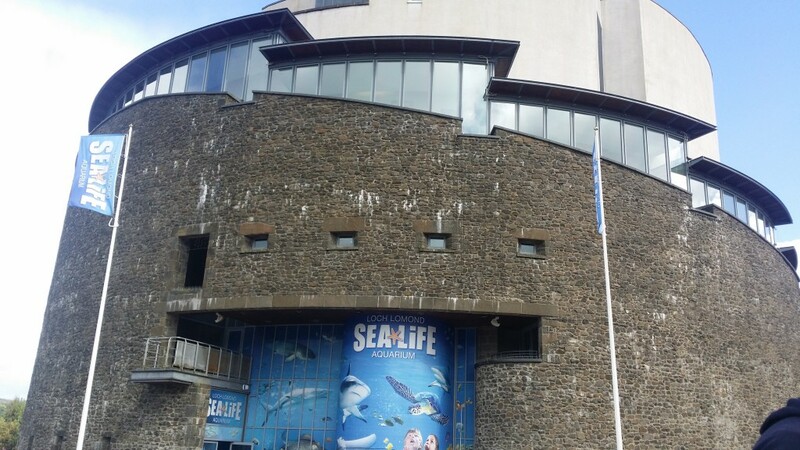 Used to be home to an iMax that still shows kids films during the day. 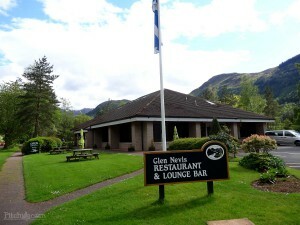 A truly delicious menu with amazing views of Ben Nevis. Stunning views of the loch with hideouts to view the reserves’ rare birds. 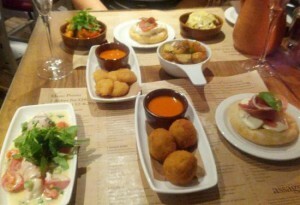 Authentic italian cuisine right in the city centre of Glasgow’s historic centre. Perfect if you get a chance to park the motorhome for an evening. Grab lunch in the window of any of the fine delis along here or get stocked up on your camping gear in the shops. The one stop shop for all things Scottish Souvenirs, get yourself some authentic tartans, scottish fudge or terrier shaped shortbread! Once your holiday has come to an end, it’s time to pack up and head home. We hit the motorway very early in the morning in an attempt to beat the traffic but half-term was busy and it took a few service stops to make it back to Wigan. On our return we were met by the same staff, who checked out the motorhome to ensure everything was still in working order and nothing had been damaged and we signed another form and had to sadly say goodbye to our beloved home for the holidays. 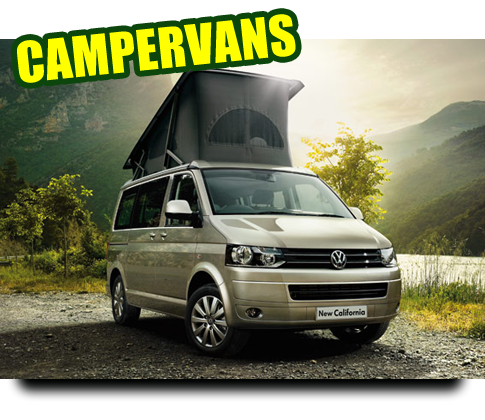 Is the Campervan the right choice for me? 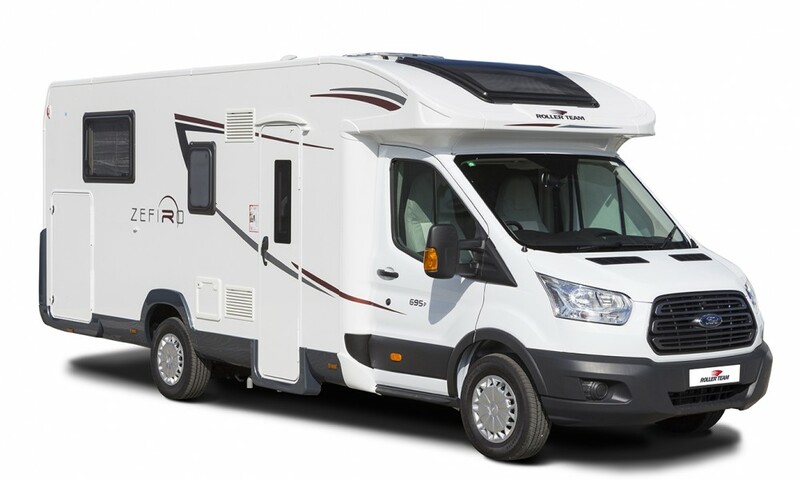 If you are looking for something bigger then from March 2016 we will be offering the new Roller Team Zefiro Motorhomes that can sleep up to 6 people and come with an interior bathroom. Watch this space for more reviews!